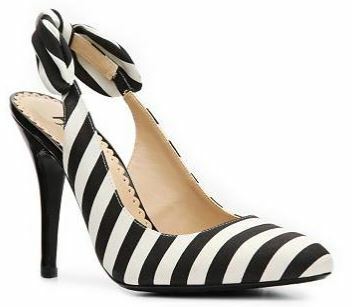 Also stripey, also slingbacked, but with a Carven-esque bow on the heel which I think just gives them the edge over the River Island shoes – only just, mind you. Although, with that said, the patent upper of the former shoe would probably be more durable than the fabric one of the latter, and that’s always a consideration. 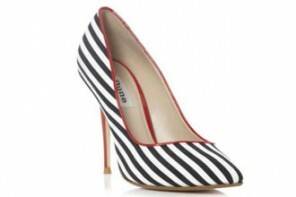 The first ones are a bit edgier and also I always prefer leather upper over fabric. So #1 actually wins for me! I like the style of the second pair more but I prefer leather over canvas any day.